That which is backed by the sound knowledge based proofs [i.e. 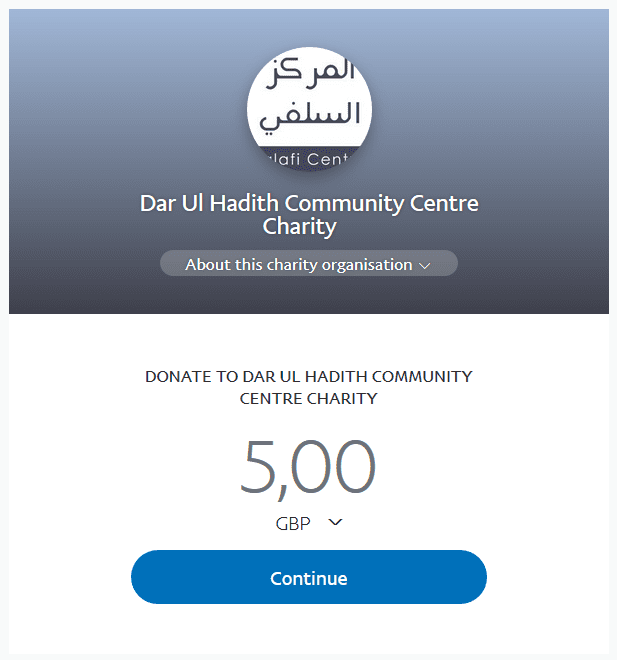 the Sharee’ah], therefore it is accepted. That which the knowledge based proofs [i.e. the sharee’ah] declares to be false, therefore it is rejected. That which there is no proof to either accept or reject it, therefore it is unproven until a person from the people of knowledge [i.e. upright scholars of Ahlus Sunnah] examines it [i.e. examines what it indicates based on the Book and Sunnah] to show whether it should be accepted or rejected. As for accepting it without [sound] investigation and observation, but merely accepting it by blindly following them [i.e. 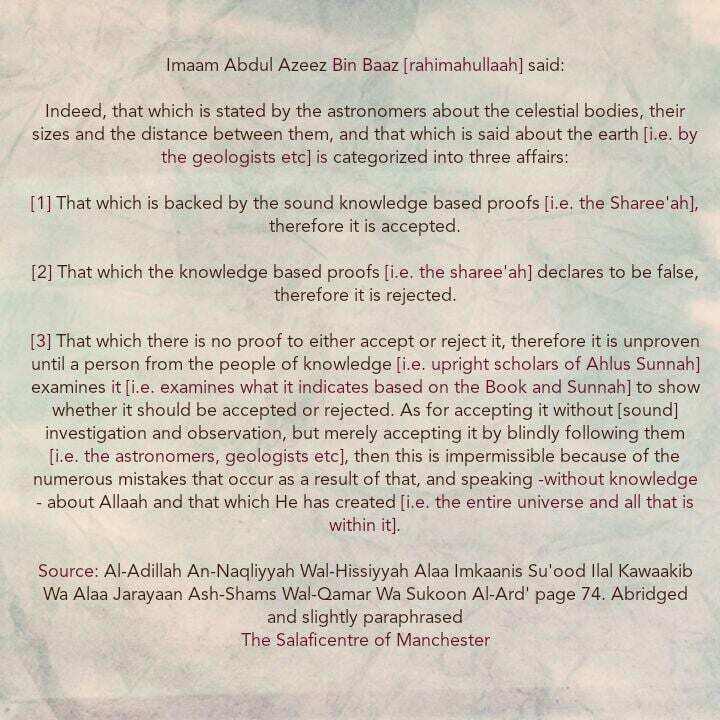 the astronomers, geologists etc], then this is impermissible because of the numerous mistakes that occur as a result of that, and speaking -without knowledge – about Allaah and that which He has created [i.e. the entire universe and all that is within it].